Join Baby Jaan as she listens to Muezza’s mesmerizing tales and soak in the wonder of rare, enlightening nuggets of Islamic lore. A djinn in the form of a baby camel and Prophet’s favourite cat come together in their shared exploits and a mutual education. As their chance meeting and tender bond is delicately explored, we are offered a fascinating array of teachings from the Quran that is sure to captivate children of all ages. Savour some enthralling gems about Nuh’s ark, God breathing life into the first man and woman, Iblis the djinn-turned-angel, the gift of free will, the ninety-nine names of God, the blessed she-camel, the mighty King Sulaiman and much, much more. 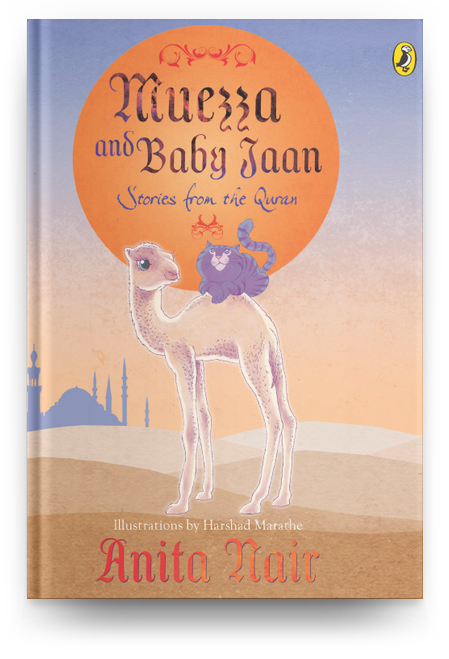 Charmingly whimsical and breathtakingly illustrated, Muezza and Baby Jaan is a read like no other.